Is there a better source for information about forensic psychology than the Academy of Forensic Psychology? 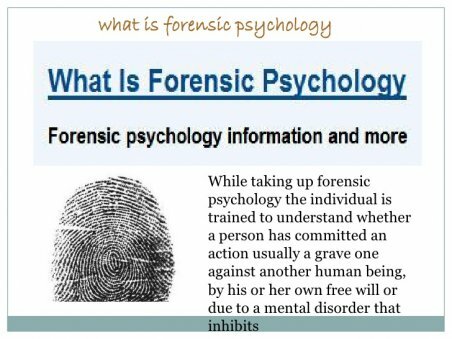 We don't think there is, so we're using their definition here: Forensic Psychology is the application of the science and profession of psychology to questions and issues relating to law and the legal system. The word "forensic" comes from the Latin word "forensis, " meaning "of the forum, " where the law courts of ancient Rome were held. Today forensic refers to the application of scientific principles and practices to the adversary process where specially knowledgeable scientists play a role.